Well, I didn’t have to wait long to get many answers on that topic, as well as many memories of Jacks, so I thought it would be timely and fun to share those in this week’s column! One note before I begin: You will notice that here at the YDR we refer to Jacks with no apostrophe. That’s because the store signs themselves did not use one, and YDR style is to follow the ways businesses describe themselves as closely as possible. Diane wrote, “Jacks was owned by Nat and Josephine Newman. Their original location was downtown on the corner of Beaver and Market streets. That is the current location of the National House. They also had locations at the York Mall, West Manchester Mall and Park City Mall. My first job was at the York Mall as a senior in high school, doing gift-wrapping for the holidays.” That flagship location is the one pictured both last week and this week. And Jon Williams wrote, “My wife, Joy, and I met at York College. We had the same major and had classes together. This was the early 1980s. While in high school, she worked Friday nights and Saturdays at Jack’s downtown. It was THE ladies’ store in York from the late 1940s on. They also had a store from 1968 on at the York Mall. They also had a store at the West Manchester Mall at one point. And they had a Park City Lancaster store, too.” So, we have confirmation on those locations from at least two readers, so that is good! That Silverman connection brings us to the next set of answers. It sounds, based on what I’ve put together from reader responses, that the Silvermans and Nat Newman may have been involved at different times, but I haven’t been able to ascertain if that’s exactly right or, if so, the order and time frames. Judy B. wrote with some similar information. 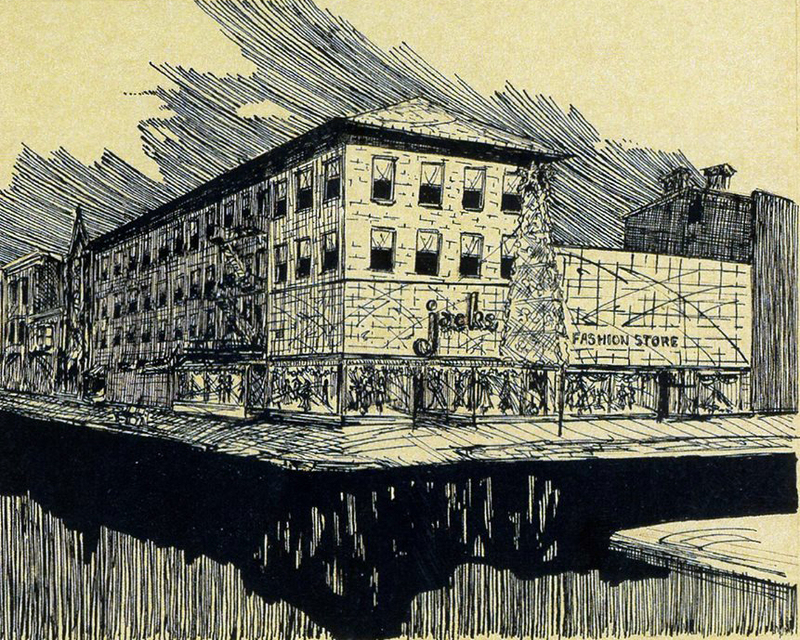 She says, “Jack’s Department Store was named after the original owner, Jack Silverman. I worked there in the late ’70s when it was owned by Nat and Josephine Silverman Newman.” So that makes it sound like Silverman was a previous name of Josephine’s, and we also have reports of Farkas as a maiden name. Through a little digging, I may have found some further information there. A 2003 obituary for Josephine’s brother Robert lists him as the brother of Josephine Farkas Newman of Boca Raton, Fla. – and as the son of the late Herman Farkas, MD, and Paulene Silverman Farkas. It sounds like the Silverman in question may have been Josephine’s grandfather or another relative on her mother’s father’s side, and that may be the connection, with Mr. Silverman starting the store and the Newmans, as descendents, continuing it.